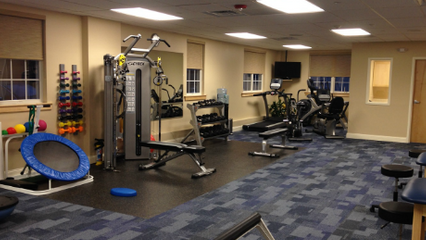 Keeping Bodies in Motion is more than just a slogan to Ogren Physical Therapy, provider of physical therapy in Armonk, NY. Pleasantville, New York native Scott Ogren began his career as a competitive Freestyle skier when he was only seven years old. For the next 18 years, he made headlines, especially in the three years he spent travelling the world as a member of the United States Freestyle Ski Team, World Cup competitor and Olympic hopeful. But his Olympic dream was shattered painfully and drastically in 1990 when he sustained a painful ACL tear. His personal experiences during the rehabilitative process after that knee injury taught him a great deal about physical therapy and what it can truly accomplish. That experience led him to a new path in life, since it ignited his desire for a career helping others as a physical therapist. He subsequently graduated from The University of Connecticut with a Bachelor of Science in Physical Therapy. Since 1996, he has been treating all types of orthopedic and sports related injuries as well as working with high level athletes on sports performance training. In addition to being a licensed physical therapist, he is also a Certified Strength and Conditioning Specialist (CSCS) and holds a TPI certification designed for golf teaching professionals. He has extensive knowledge of joint biomechanics and proper posture promoting optimal physical function and wellness. He believes in combining his technical expertise with a compassionate and understanding attitude to help all patients recover and excel. When he is not working, he enjoys spending time with his family, promoting and living a healthy lifestyle, golfing, doing landscape design and interior decorating.